I'm not a vegan but I love cruelty free and vegan makeup products. 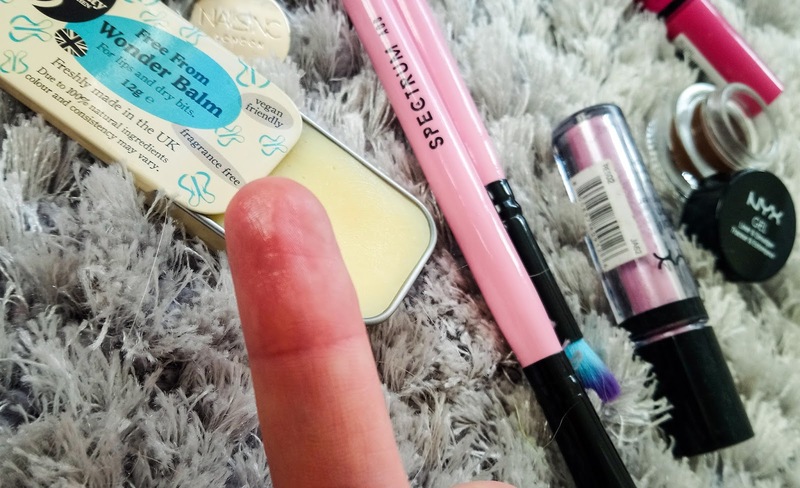 Knowing that my makeup hasn't been tested on animals makes me feel better about wearing it and knowing that it's all made from natural ingredients makes my skin feel better too, so I'm super excited to share today's post about Wonder Balm from Beauty Kitchen! During the winter months, especially now I live by the sea, I go through loads of lip balms. The salty sea air is so harsh on your skin and my lips are always the main victim. When I was offered the chance to review these brand new Wonder Balms I just couldn't turn them down so when this little beauty turned up in the post I was super excited to see what it was all about. You may remember back in March I had the opportunity to review the 60 Second Manicure from Beauty Kitchen and I wasn't overly sold, so I was hoping this little tin of vegan goodness would change my opinion on the brand. The range has 4 different balms, Free From, Love Me, Refresh Me and Inspire Me. All four are vegan and cruelty free, enriched with cocoa butter and available in gorgeous bag friendly 12g tins. I was sent Free From which is not only vegan, cruelty free and cocoa butter enriched but completely free from essential oils, fragrance free and made from 100% natural ingredients. First off I adore the little tin it comes in, it's super handy for any sized bag or pocket and the sliding top means it's super easy to get out. It doesn't just pop open so you won't find it floating at the bottom of your bag with bits of left over biscuit crumbs stuck inside it unlike a few other lip balms I've had (R.I.P). The product itself is exactly as it says on the tin. It doesn't have an overwhelming fake sweet smell or a weird colour. It's a buttery cream colour that simply melts with the heat from your fingers into a gorgeous velvety product that leaves an ever so subtle sheen to the skin. It doesn't sit on your skin and make you feel sticky or tacky but simply sinks in, leaving your lips feeling hydrated and protected. Now this balm isn't just suitable for lips, it can be used on any other dry area you may have. I've been using this on a dry patch from a recent spot out break on my chin and not only has it dramatically improved the dryness but it hasn't caused me to have any further break outs or caused me any other issues. Again it hasn't left my skin feeling sticky or tacky and it certainly hasn't made my makeup budge either. It simply sinks into your skin and to be quite honest I'm loving it. 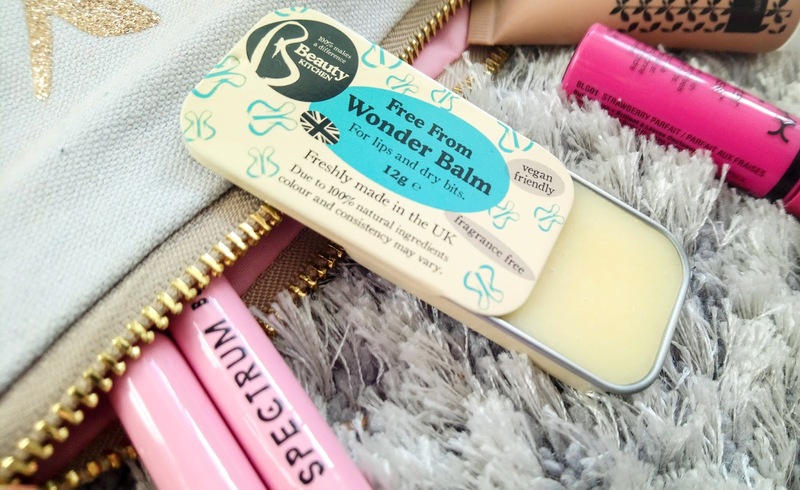 This Wonder Balm range has only just arrived in Holland & Barratt so it's a very new product but after using it on the regular it's one I'd recommend if you're looking for a completely 100% natural, vegan and cruelty free product. They retail for £3.99 so they won't break the bank and I can honestly see one tin lasting me until at least December. Have you seen the Wonder Balm in stores yet? Is it a product you'll be trying?